Photo back row left to right: Hunter Rinne, Matthew Rinne, Kathy Rost, Leader- Sydney Whithaus, Jamie Koenigsfeld, Assist. Leader and Bailey Whithaus. Front row left to right: Veronica Slack with younger brother Victor Slack, Levi Seifert, Dylan Koenigsfeld, Clayton Koenigsfeld and Adriana Rost. Hermann, Mo. - The Modern Woodmen of America Youth Club 2304-1L from Morrison, Mo. visited Hermann Area District Hospital Tues., Aug. 28. The children and their parents were given a special tour of the hospital. State trooper diverts traffic after the interstate was shut down on Friday at the 169 mile marker on I-44. Photo was taken on I-44 at the 169 mile marker. Last year, 13 people were killed over the Labor Day weekend. During this year's holiday weekend the Patrol investigated 201 traffic crashes, which included 144 injuries and four of the six fatalities. There are two devices attached to the siren located behind the old fire house. Note they have been circled for your convenience. There is an anemometer on the top and the second device measures a large amount of additional weather data. New Haven, Mo. 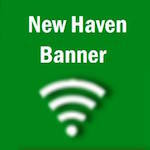 – New Haven has its own weather station that provides real-time data such as: rain fall totals, current wind speed and temperature, local forecast for New Haven, Doppler radar that's updated every minute, and much more. This new state of the art system is for the general public to obtain the most accurate forecast for New Haven. First Lady Michelle Obama recently recognized companies such as Ameren for pledging support to Joined Forces, which is asking private sector businesses to collectively hire or train 100,000 unemployed veterans and their spouses by 2013. It is the second time in as many years Washington, D.C. has acknowledged Ameren’s commitment to hiring and supporting military veterans. Christian Basi, COLUMBIA, Mo. ­— Legend has it that Ralph Waldo Emerson once said, “Build a better mousetrap, and the world will beat a path to your door.” University of Missouri researchers are doing just that, but instead of building mousetraps, the scientists are targeting cancer drugs.